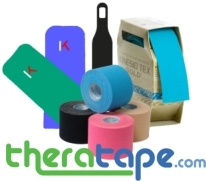 SpiderTech is a kinesiology tape manufacturer specializing in precut applications and precut strips. Their SpiderTech PowerStrips Precut X, Y and I Strips are precut applications already cut in the most popular X, Y and I formats. Using the Powerstrips to demonstrate, Spider Tech has produced this video that explains the difference between a neurosensory application and a structural application for the shoulder. 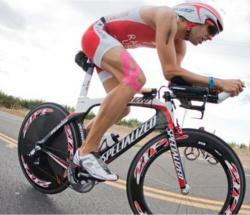 As the popularity of kinesiology taping grows, so does the array of kinesiology tape products on the market. One of the companies at the front of this therapeutic wave is SpiderTech. Best known for their collection of 16 precut kinesiology tape applications for different body parts, Spider Tech is continuing to introduce new and exciting kinesiology taping products. Their newest product, SpiderTech PowerStrips, rounds out their product line that previously consisted of rolls and precut applications. PowerStrips are ready-to-apply strips of kinesiology tape, already cut into the three most common taping configurations – the X Strip, Y Strip and I Strip. These precut kinesio strips can be used individually, in combination with each other, or in combination with any of SpiderTech’s other precut applications. These kinesio precut strips bridge the gap between rolls and precut applications. The backing is perforated and divided into sections that are numbered for easy application. The machine cut edges and rounded corners reduce fraying and rolling that can occur with hand-cut strips. Smaller and significantly less expensive than body part applications, PowerStrips are both convenient and cost effective. SpiderTech PowerStrips are available to both health professionals and consumers at Theratape.com, along with a complete line of other kinesiology taping brands and products.